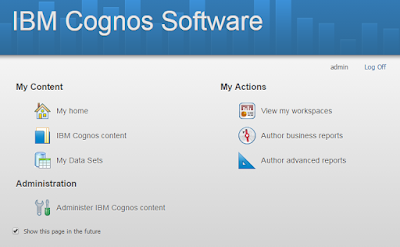 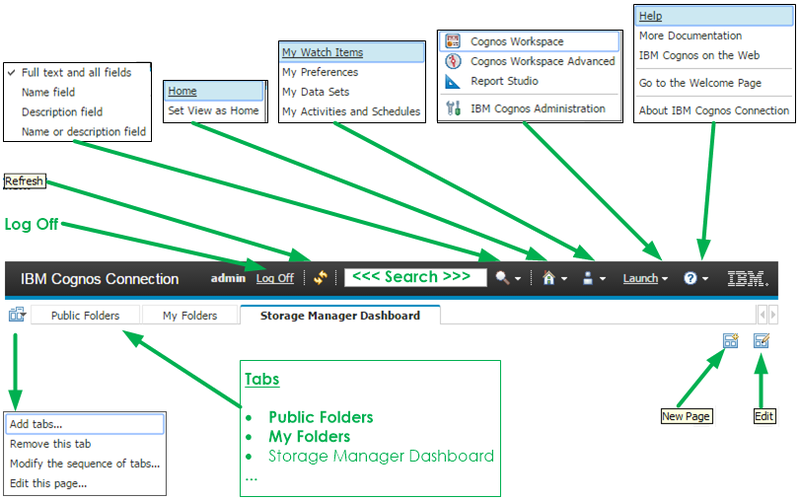 In this post we explore the OnCommand Insight 7.3 Data Warehouse's IBM Cognos Connection GUI. 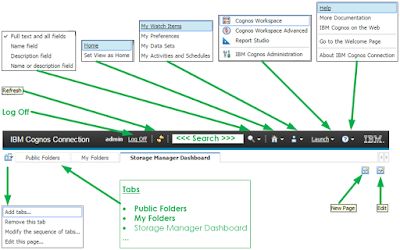 *Report Studio is the essential tool used for authoring Advanced Reports with OCI. 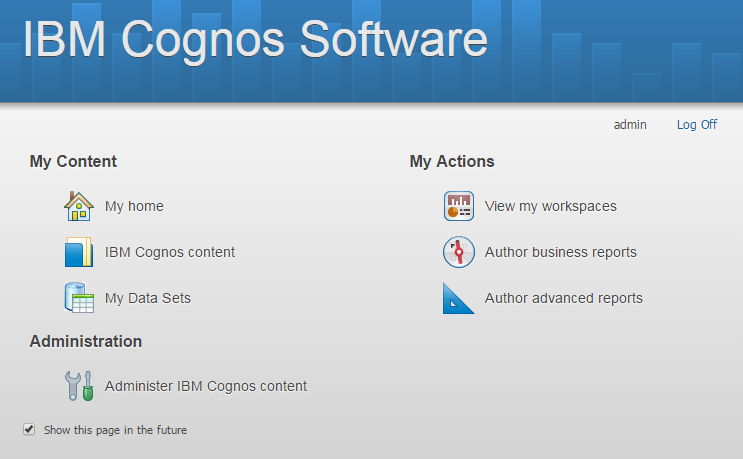 Added here for completeness - you may also see this page (I’d usually just click on ‘My home’ to get to ‘IBM Cognos Connection’).